I previously mentioned that I’ve been a little slow in writing posts about some national-level periodicals that have quoted me on various bankruptcy and foreclosure issues. 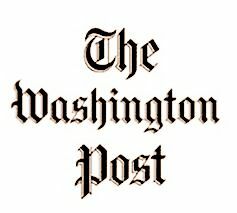 I’m pleased to say that on November 9, 2010, the Washington Post published an article written by their staff reporter Ariana Eungung Cha, who has been regularly covering national news about foreclosure improprieties committed by big mortgage lenders and their foreclosure attorneys. The article discussed the recent revelation last fall that many foreclosure cases across the nation were based on improperly executed robo-signed mortgage documents. As New York had become a hotbed of cases in which judges have expressed their frustration with mortgage lenders who are reckless with their litigation, she asked for my comments. She also highlighted the noteworthy and highly-publicized decision of Long Island Judge Jeffrey Arlen Spinner, who tossed out a mortgage because he felt that the mortgage lender wasn’t playing fair with its legal obligation to work out a resolution with the homeowner in good faith. See Judge Cancels Mortgage Due to Mortgagee’s Shocking Behavior in Long Island Foreclosure Action . EAST PATCHOGUE, N.Y. – A year ago, Long Island Judge Jeffrey Spinner concluded that a mortgage company’s paperwork in a foreclosure case was so flawed and its behavior in negotiations with the borrower so “repugnant” that he erased the family’s $292,500 debt and gave the house back for free. The judgment in favor of the homeowner, Diane Yano-Horoski, which is being appealed, has alarmed the nation’s biggest lenders, who say it could establish a dramatic new legal precedent and roil the nation’s foreclosure system. It is not the only case that has big banks worried. Spinner and some of colleagues in the New York City area estimate they are dismissing 20 to 50 percent of foreclosure cases on the basis of sloppy or fraudulent paperwork filed by lenders. Their decisions illustrate the central role lower court judges will have in resolving the country’s foreclosure debacle. The mess came to light after lawsuits and media reports showed lenders were routinely filing shoddy or fraudulent papers to seize the homes of borrowers who had missed payments. In millions of cases across the United States, local judges have wide latitude to impose sanctions on banks, free homeowners from their mortgage debts or allow the companies to proceed with flawed foreclosures. Ultimately, the industry is likely to face a messy scenario – different resolutions by courts in all 50 states. The foreclosure dismissals in this area of New York have not delivered free homes for borrowers. With so much at stake, lenders in this part of New York are aggressively appealing foreclosure dismissals, which is likely to keep the legal system bogged down, foreclosed homes off the market, and homeowners like the Yano-Horoski family in legal limbo for years. “We believe the Yano-Horoski ruling, if allowed to stand, has sweeping and dangerous implications for the entire mortgage lending industry,” said OneWest Bank, the family’s mortgage servicer. The situation in Suffolk and Nassau counties on Long Island and Kings County in Brooklyn- which have among the highest rates of foreclosure in the state and where the 81 judges handling foreclosures have become infamous over the past few years for scrutinizing paperwork for errors – provides a window into how the crisis could unfold across in the country. While the level of tolerance for document mistakes varies from judge to judge, the group as a whole has a reputation for ruling against mortgage companies when paperwork issues or other problems arise. At least one bank, J.P. Morgan Chase, requires document processors to separate foreclosures cases from these three counties from those in the rest of the country. A high-ranking executive of the company is specially assigned to sign off on the area’s foreclosure filings. Judge Dana Winslow of Nassau County says he’s thought a lot about why judges in his area are more apt to question filings. He said it comes down to one thing: Lack of trust for Wall Street. In this region, judges have seen a lot of inaccurate filings from the financial sector. Trust “of the lending institutions and Wall Street has eroded in some areas of the country more than others,” Winslow said. Going forward, mortgage companies trying to foreclosure in the state of New York will face stiffer requirements. On Oct. 20, the state’s chief judge said attorneys for lenders will have to vouch personally for the accuracy of documents. Even before Lippman’s order, however, lower court judges were already raising questions about faulty paperwork in foreclosures. On June 17, for example, Judge Karen Murphy of Nassau County ruled that Wachovia Bank lacked standing to foreclose on a home because the document used to prove ownership of the mortgage was incomplete. On Sept. 21, Judge Peter Mayer of Suffolk County delayed a foreclosure by Ally Financial’s GMAC mortgage unit after noticing that the paperwork transferring the mortgage to the bank was dated two days after the foreclosure was initiated. And on Oct. 21, Judge Arthur Schack of Kings County dismissed a OneWest foreclosure motion because the bank had not adequately documented how the mortgage had been sold and resold to investors. He also questioned why the employee who signed many of the documents claimed to be a vice president of several different mortgage companies at the same time. That didn’t mean the borrower, Lovely Yeasmin, a 28-year-old cashier who immigrated from Bangladesh, got her three-story townhouse in Brooklyn’s Bushwick neighborhood for free. Wells Fargo, the mortgage servicer for HSBC, has not appealed the case. Instead, it has offered to temporarily lower her monthly payment from $4,700 to $3,000. Yeasmin’s eldest brother, Mohammed Parpez, 35, said that before the judge’s order, Wells Fargo was resistent to a loan modification. “The banks are crooks. They tell everyone they are trying to help people like us, but they are really doing the opposite,” Parpez said. Tom Goyda, a Wells Fargo spokesman, said that although the company “disagrees with the court’s findings,” it is continuing to try to work out a longer-term solution with the family. Members of the Yano-Horoski family said they struggled similarly to get their lender to modify their loan after Greg Horoski fell ill in 2005 and his online business selling specialty dolls suffered. After he underwent a triple bypass surgery, two stents and two hip replacements, he and his wife, Diane – who teaches an online English composition course – found themselves unable to pay the bills. Despite his pleas, Horoski said, he failed to get OneWest to come to an agreement, even though he became able to pay the debt after his company’s sales picked up. In his November 2009 ruling, Judge Spinner of Suffolk County blasted OneWest for negotiating with an “opprobrious demeanor and condescending attitude.” He also cited the bank’s “duplicity” in offering a forbearance agreement with a deadline that had already passed and for presenting contradictory paperwork claiming different amounts for what the family owed. With their case under appeal, the Yano-Horoskis now find themselves in a tricky position, wary of putting more money into a house that an appeals court could take away from them. While the other houses on their quiet suburban street are meticulously maintained, their front-porch light remains shattered and the paint on their house is peeling. They’ve shelled out $3,000 for a new hot-water system. They paid $2,000 for tree trimming after a neighbor complained. But they’ve let the $10,000 property tax bill become delinquent, and they worry an appeals court could not only reverse the earlier ruling but demand that the family pay back the mortgage for every month that has passed since.